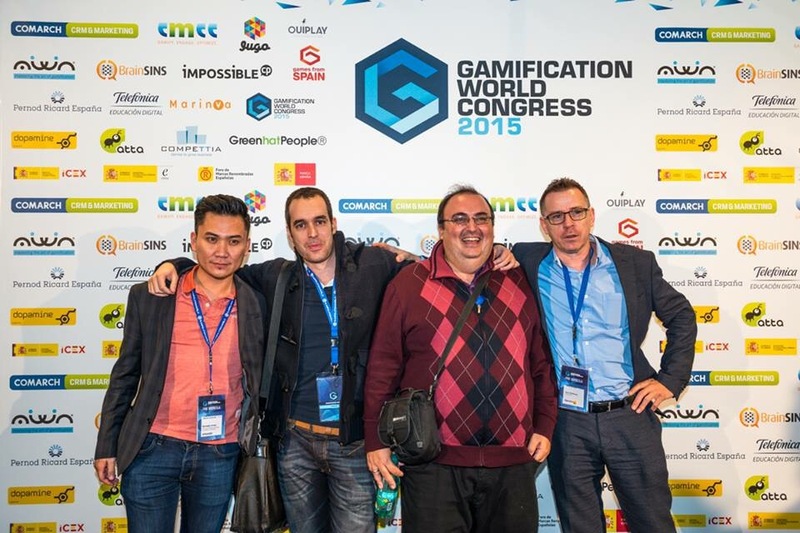 Oct/November has been busy with travelling – spoke at the gEducation strand of the Gamification World Congress in Barcelona (slideshare), the e-Madrid network seminar on Serious Games in Madrid and the Gamification du Travail, Colloque International in Paris. My talks revolved around the notion of pervasive learning and how games science can facilitate and scaffold teaching and learning practices within a hybrid space. This specific interest is reflected by the H2020 project I’m leading, the pervasive game project I’m managing at the DMLL and a book that I’m planning to write and hopefully complete in 2017 (Watch this space!). And I’m also recruiting a research associate and a research assistant! My talk in Paris today was the last one for 2015! Time to put my feet up (NOT). At least Christmas is just around the corner (yay). Yes not many sleeps left before Christmas! The season of peace and giving. May the peace that transcends all understanding, will guard our hearts and minds in these troubled times.